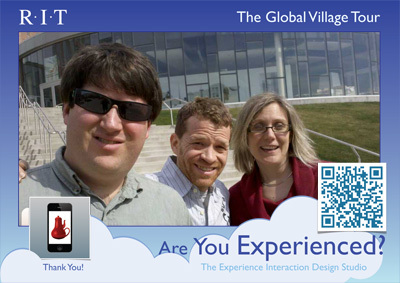 On Friday the 4/13/2012 from 12pm till 3pm we will be conducting our first Mobile Experiences for Tourism usability test in the Global Village at RIT. We are testing our GPS User Interface with prospective RIT freshmen and their families. Please come out and experience our mobile tourism service for yourself. Look for our welcome table just outside the entrance to the Global Village to participate.